The one thing that’s true about all millennials is this. There is not one thing that is true about all millennials. I think the media has done a pretty crummy job of lumping millennials into one big pile – saying that all millennials are like THIS or like THAT. When the truth is, this generation – born between 1982 and 2000 – are as different and unique from one another as any other generation. 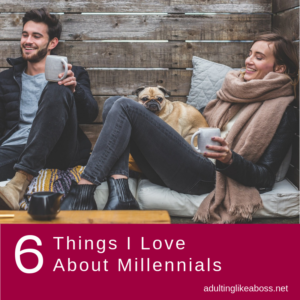 That being said, there are six things that get me very excited about millennials – things that are really great – and seem to be generally true of the generation as a whole, and these are the things I hope rub off on me. In a survey taken in 2014, millennials showed to be more optimistic about the future than their parents and grandparents. Part of that optimism is belief that you can change the outcome of the future by being involved politically and socially, and making social change. And you already have. By being more optimistic and accepting, you’ve made great strides in bringing about positive changes and acceptance in the current culture for those who are different than yourselves. You also care more about how your actions affect the world in a positive way, and in fact, studies show that you care more about your job making an impact, or being personally fulfilling as the reward than you do about the money you earn. And speaking of social causes, 81% of you have made donations: Either money, objects, or – more sacrificially – volunteered precious time to causes you care about. From mission trips – volun-tour-ism, or marches, Habitat for Humanity, other social causes, you’re out there volunteering and donating. You don’t want to wait until you are financially wealthy to donate – you’re donating NOW – at whatever financial stage you are in. But it doesn’t stop there! It’s not enough for YOU to do it, you also want your employers to donate to causes. 63% of you want your employer to donate to social or ethical causes you value. 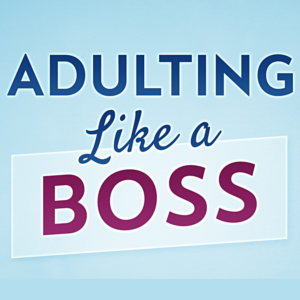 Even though the stereo-type of millennials might be “lazy” or “unmotivated,” the truth is that 67% of you say you want to start your own business, and quite a few of you have a business on the side of your “day job” that you’re already doing. Because of the ever expanding technology, more and more people are finding success in building their own business from their living rooms, by leveraging the power of the internet. We’re seeing more and more millennials run companies and start their own brands. 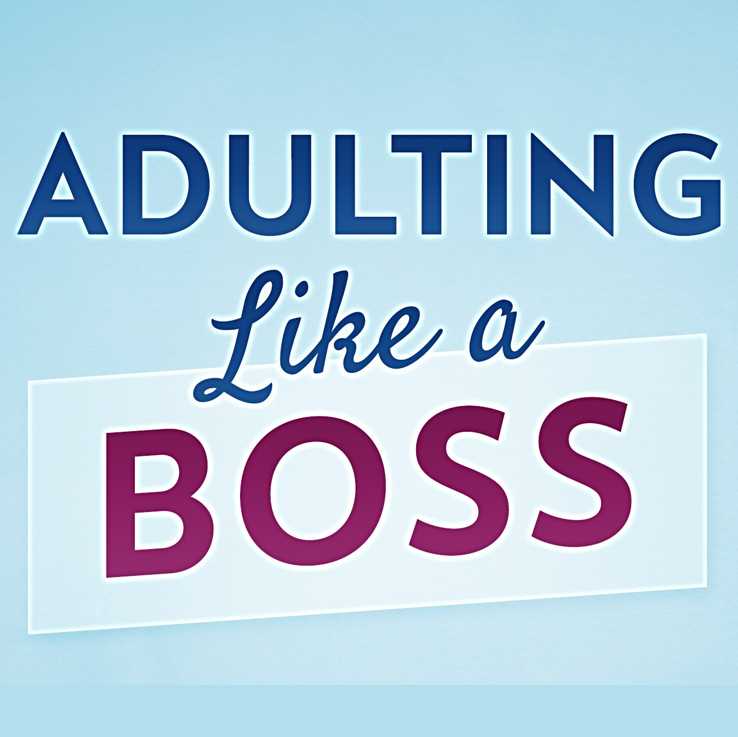 In contrast, only 13% of millennials say they want to climb the corporate ladder to become a CEO or president of someone else’s company! You want to start your own! More millennial women have college degrees than their male counterparts, are making up an increasing percentage of the workforce, and earning more than women ever have before. Women are still not earning equal pay for equal work, but that is changing as millennial women speak up and demanding that they not be treated like second class citizens. With the “me too” movement, women are also demanding to be treated with the respect they deserve. Millennials are the most diverse generation the United States has ever seen. Racially, ethnically, and in every other aspect I can think of, millennials make up a diverse group. And I see more intermixing of ethnicities and races in friendships and romances than we have ever had. It’s not taboo to date or marry outside someone who is just like you –What’s accepted now as common has not always been that way. It used to be very taboo, and a couple of generations ago, it was even illegal in some places. I also see people retaining the customs and language of their cultural heritage more than in past generations. Just a few generations ago, when people immigrated to the USA, they were encouraged to leave behind the ways of their home country and adopt English only. I’m so glad that has changed, and now people proudly retain their diversity. This generation – millennials – are independent thinkers. Because of all the doubt cast on the media, and how you can turn from Fox to CNN and hear the same story with different “alternative facts” you’ve become skeptical of what is told to you. And although that could be seen as negative, in the spirit of distrust of your fellow man – you’ve turned it around to be a positive. It has caused you to think independently – to think outside the box – and not to believe everything that is said, but check it out for yourselves. That’s also reflected in politics – not as many Millennials identify completely with the two major parties. In fact, you’re more likely to identify as an Independent, and vote your conscience on issues, rather than along party lines. That has made politicians sit up and take note. You aren’t going to blindly follow what anyone says, and they have to be more careful how they communicate, what they communicate, and how they vote. And that’s a good thing! If you ARE a millennial, if you KNOW a millennial, and most of all if you – like I do – LOVE millennials, then I hope you are as excited about the future as I am. You’re changing the world!